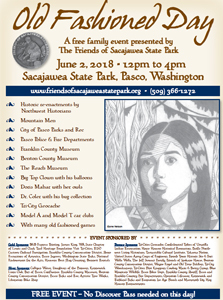 Presented by Friends of Sacajawea State Park each June. The 2018 June 2 event is from 12:00 to 4:00 and is free, no Discover Pass is needed! See the complete 2018 poster.